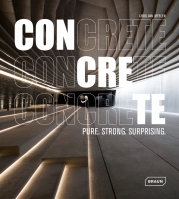 Concrete is the building material of our time. 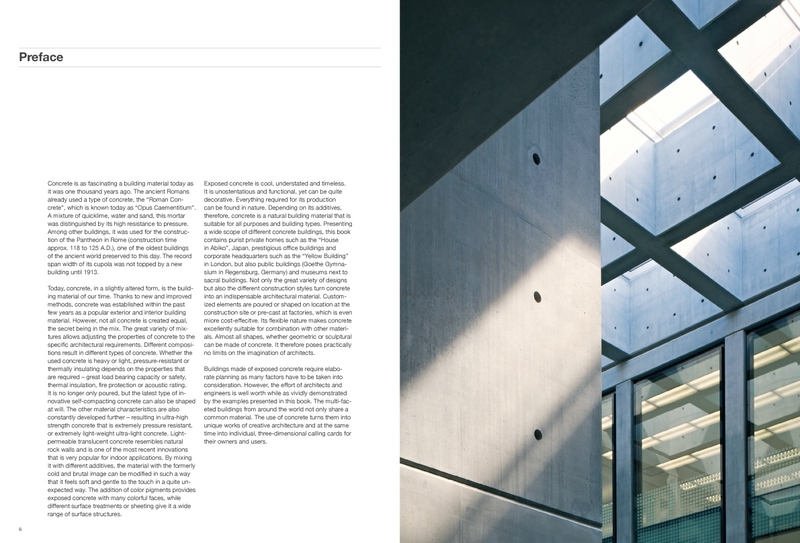 Celebrated on the one hand, stigmatized on the other, hardly any other material combines such contradictory associations. 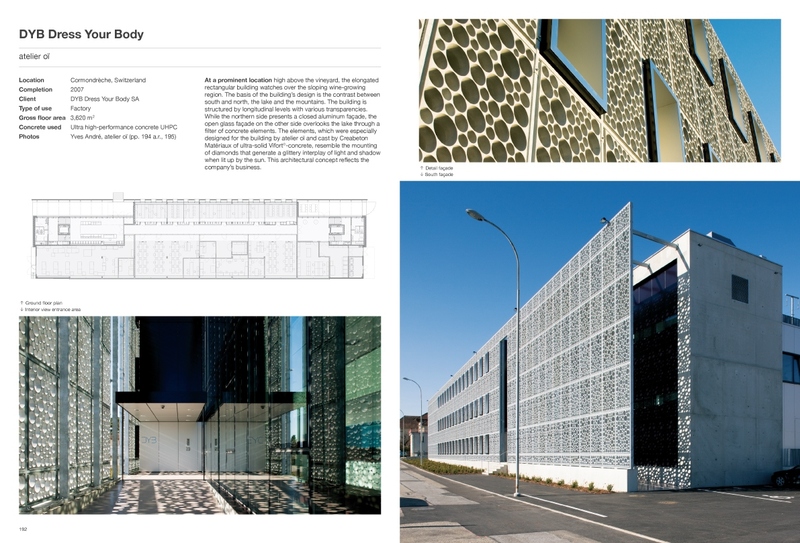 Its vast potential cannot be overestimated, ever new applications and possibilities make it a very popular and valuable building material today. When combined with other materials in particular, concrete displays a seemingly limitless flexibility in texture, utilization and shape. 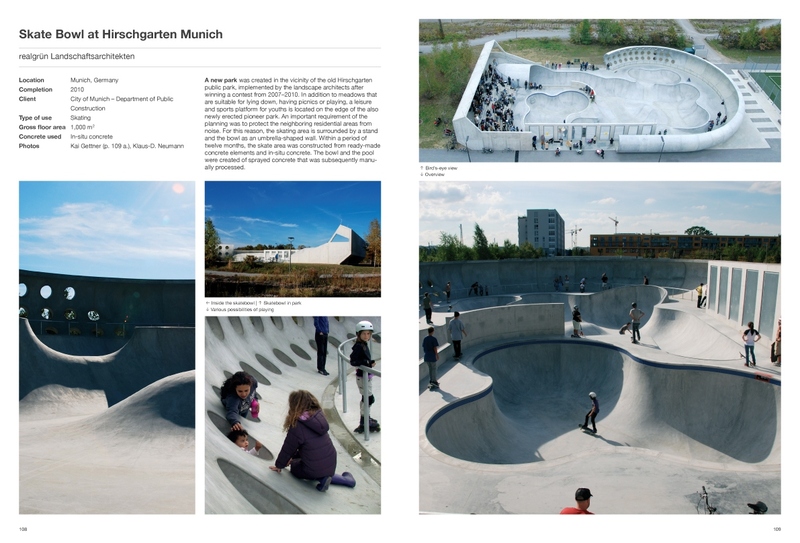 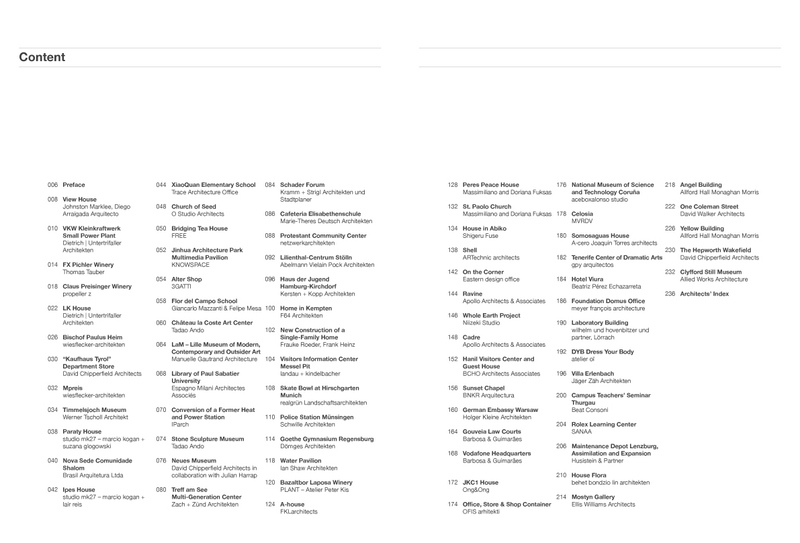 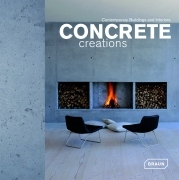 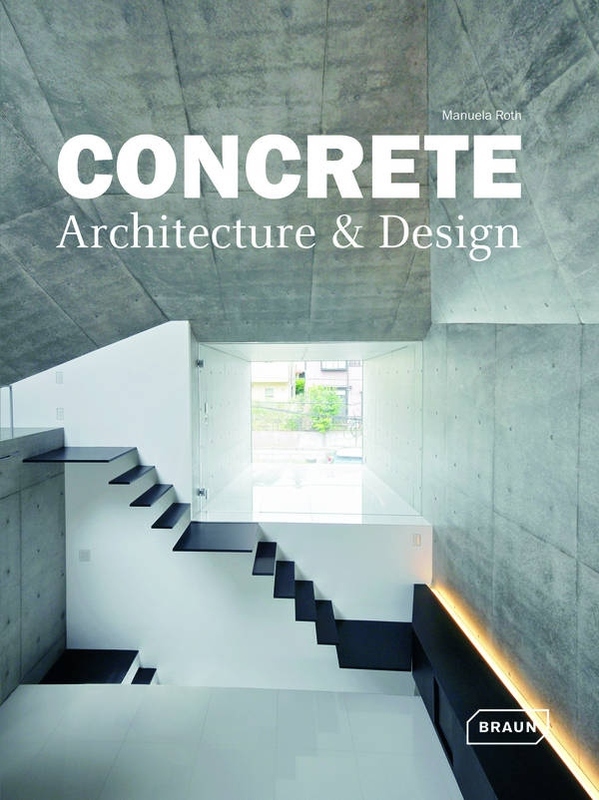 The contemporary projects from around the world presented in this volume provide impressive testimony to the many faces of concrete and the great design potential it possesses. 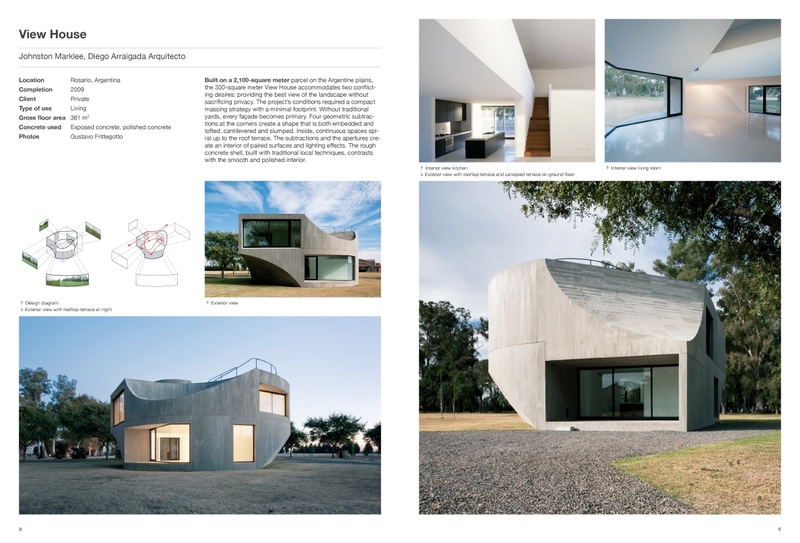 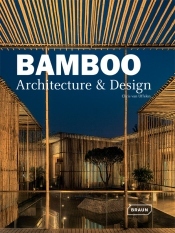 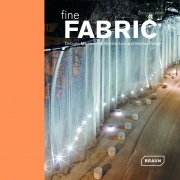 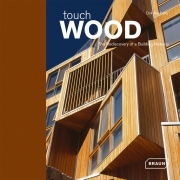 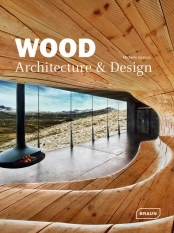 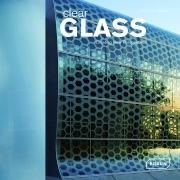 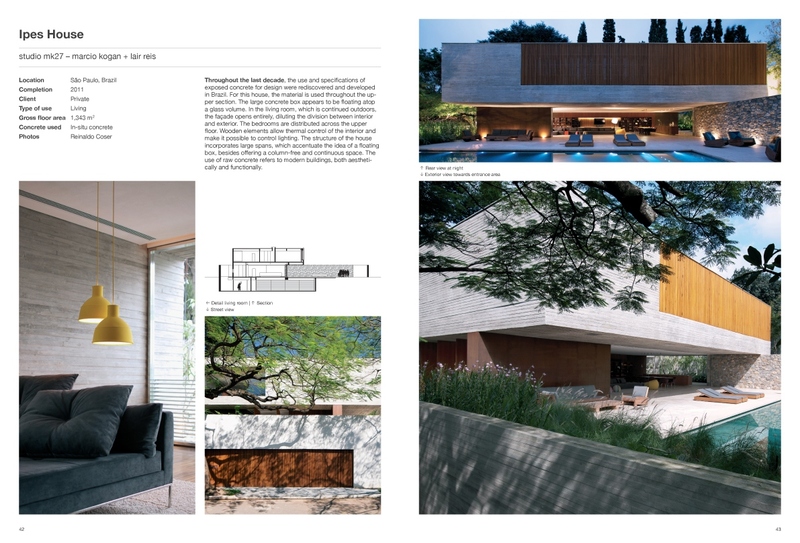 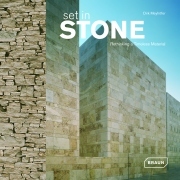 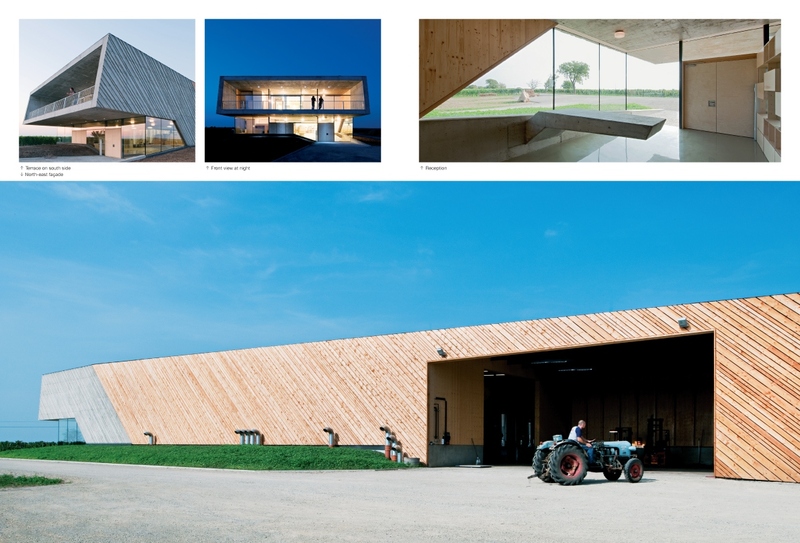 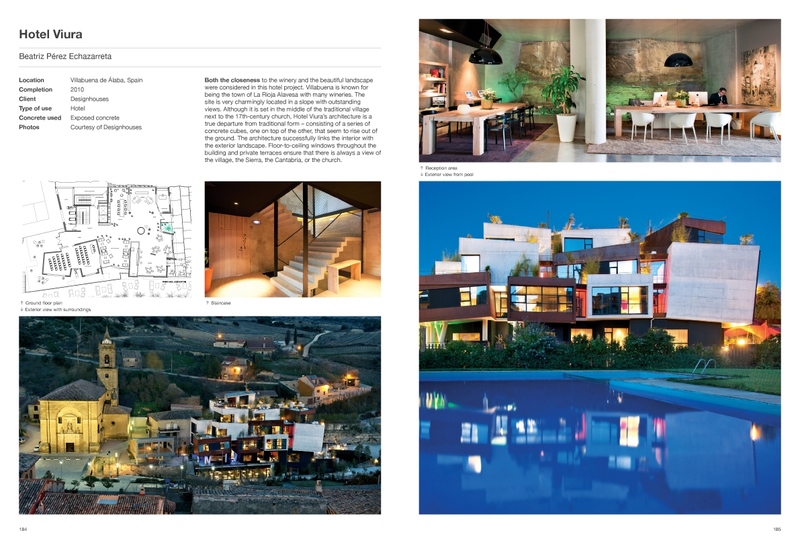 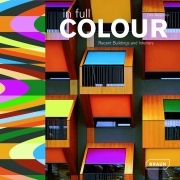 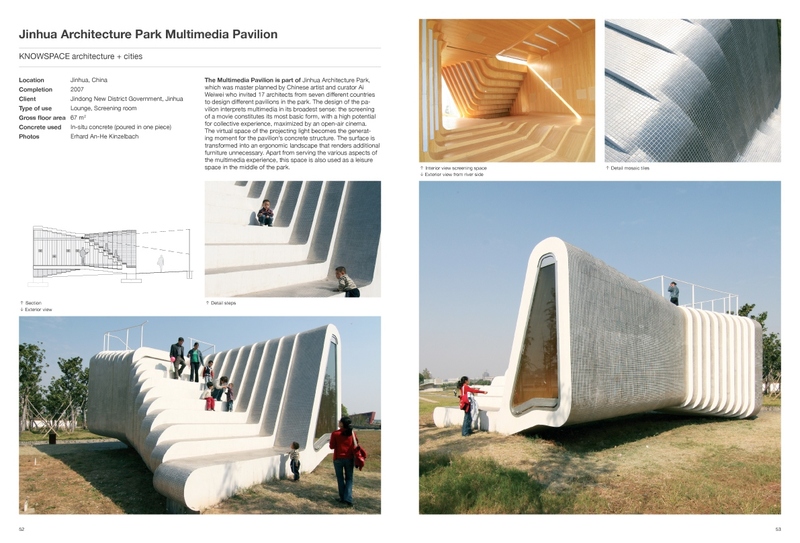 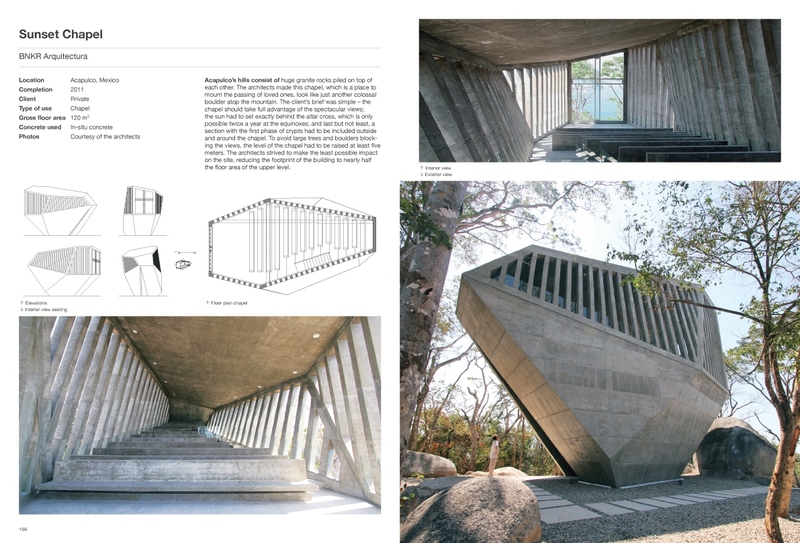 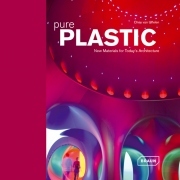 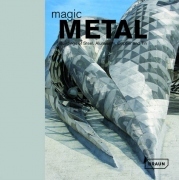 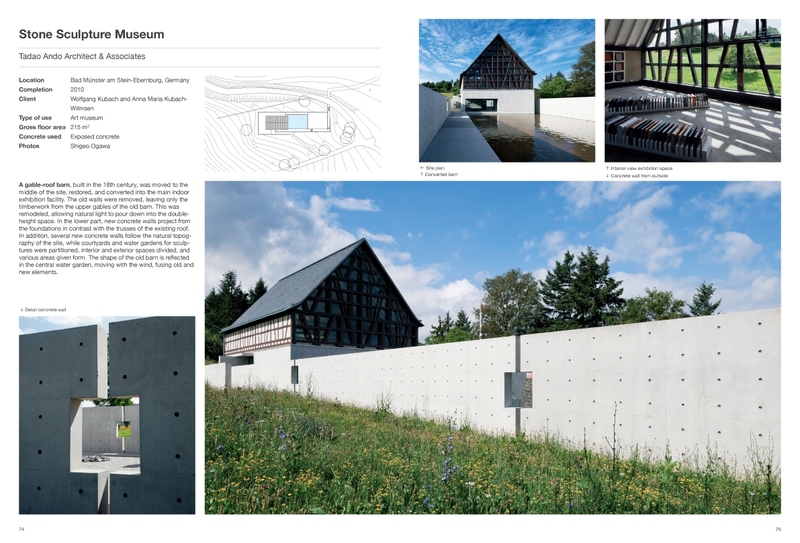 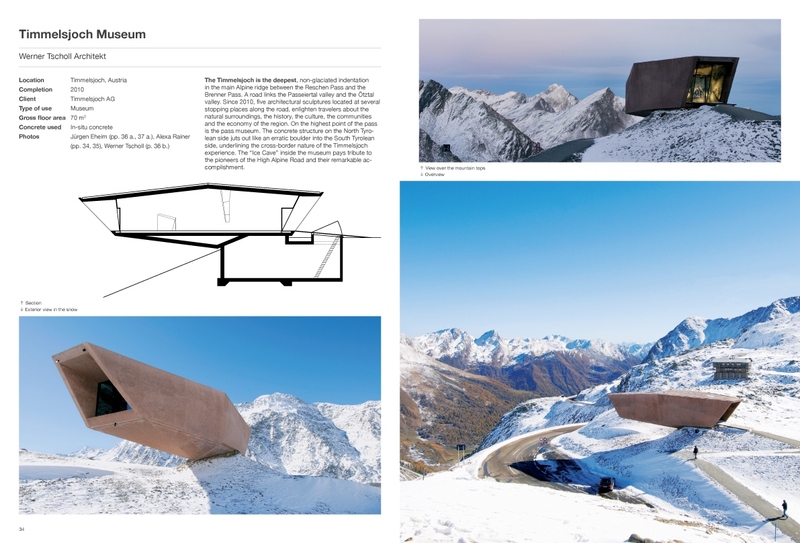 The book features images, drawings, facts and texts that highlight the continued relevance and inimitable fascination of this unique building material.